Organization open for everyone, who cares about promotion of business, enterpreneurship, economy, science, culture and sports. Field meeting of the Management Board of the EBC Poland in the company KŁOS LATEST TECHNOLOGIES LTD. [KŁOS NOWOCZESNE TECHNOLOGIE BANKOWE Sp. z o.o.] in Mościska. 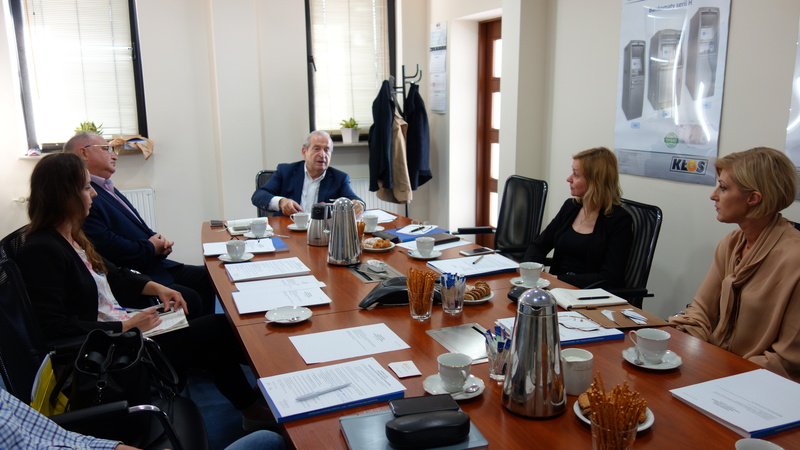 On the 17th of April 2018 a third meeting of the new Management Board of the European Business Club took place. 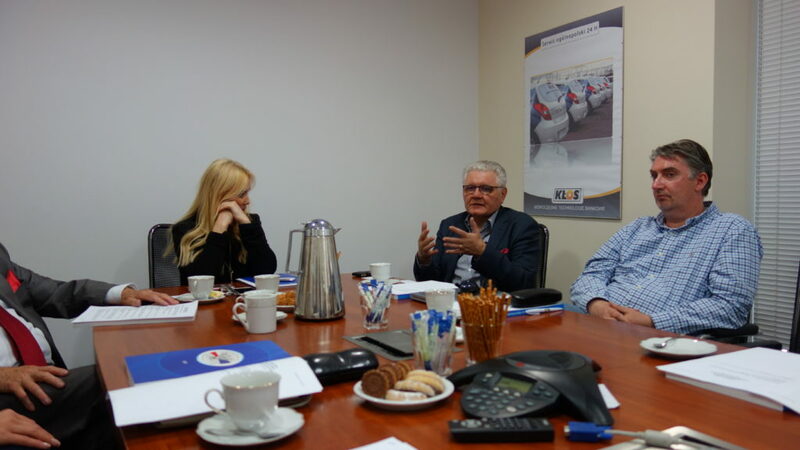 The meeting was held upon the invitation of the President of the Management Board in the KŁOS LATEST TECHNOLOGIES LTD. of Mr Zbigniew Kłos in Mościska (ul. Chabrowa 32). Members of the Management Board of EKB Polska in the Kłos company. Mr Janusz Cieślak, the President of the European Business Club Poland chaired the meeting. President Janusz Cieślak is opening the field meeting of the Management Board of EBC Poland. The Chairperson of the Socio-Economic Committee Mr Czesław Gołębiowski as priority tasks for 2018 presented inter alia, tightening co-operation with the Economic and Development Committee of the Sejm of the Republic of Poland and with the Parliamentary group for the Support of Entrepreneurship and Economic Patriotism, co-operation with national and foreign economic entities in the area of: entrepreneurship development, establishment of new business contacts and undertaking an array of activities concerning economic co-operation. Chairperson of the Socio-Economic Committee Mr Czesław Gołębiowski is presenting the programme for 2018. The Chairperson of the Foreign Committee prof. Joanna Paliszkiewicz presented a plan and a vision of activities for 2018. In her speech she concentrated mostly on the co-operation with national and foreign economic entities as well as on the realization if the initiatives of the Management Board of EBC Poland inter alia, co-participation in the organisationof meetings of members and sympathizers of the Club with the representatives of the diplomatic corpus accredited in Poland, with the representatives of public administration, education and business in order to develop a network of international contacts. Chairperson of the Foreign Committee prof. Joanna Paliszkiewicz presented the plan and vision for activities for 2018. The Management Board of the European Business Club Poland accepted the information and proposals of the Presidents of both Committees and accepted them for implementation. President of the Management Board of the company Mr. Zbigniew Kłos is presenting the company’s operations. 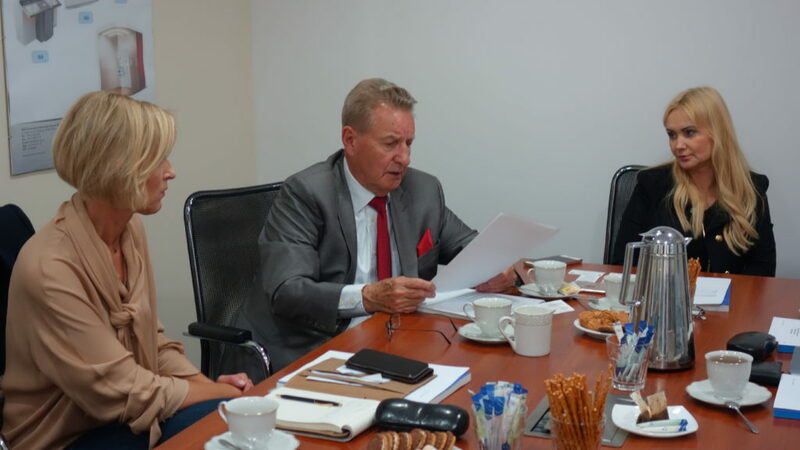 The third part of the field meeting was connected with the presentation given by the President of the Management Board Kłos Latest Banking Technologies Ltd. – Mr. Zbigniew Kłos on his company. The company was established on the 1st of July 2009 in the process of transformation of an individual economic activity conducted by Mr. Zbigniew Kłos under the name Kłos Zbigniew Latest Banking Technologies. The beginnings of the operations of the companies are dated since 1964 when it operated as Producers of Locks and Banking Equipment. Currently it is trading company under the name KŁOS LATEST BANKING TECHNOLOGIES LTD. with entirely Polish capital of 6,600,000 PLN. The company is a specialised, professional producer and distributor of equipment for facilitating and keeping cash. The company KŁOS is the authorised trading representative of such companies as: KABA AG, MULTI CASH, WERTHEIM, GRG BANKING, PROCOIN i LAGARD. The company offers an array of latest equipment of the highest technical standard. Among them are multifunctional equipment, professional high-performance sorting machines for banknotes and coins, counting machines, self-service cash deposit machines for banknotes and coins . The equipment is made according to the latest technologies coherent with the standards of NBP as well as the Ministry of the Interior and Administration. The meeting was concluded with a delicious lunch during which the participants of the meeting continued club and business talks. ← Undersecretary of State to the Ministry of Foreign Affairs – the guest of the EBC Poland . Copyright © 2019 European Business Club Poland Association.